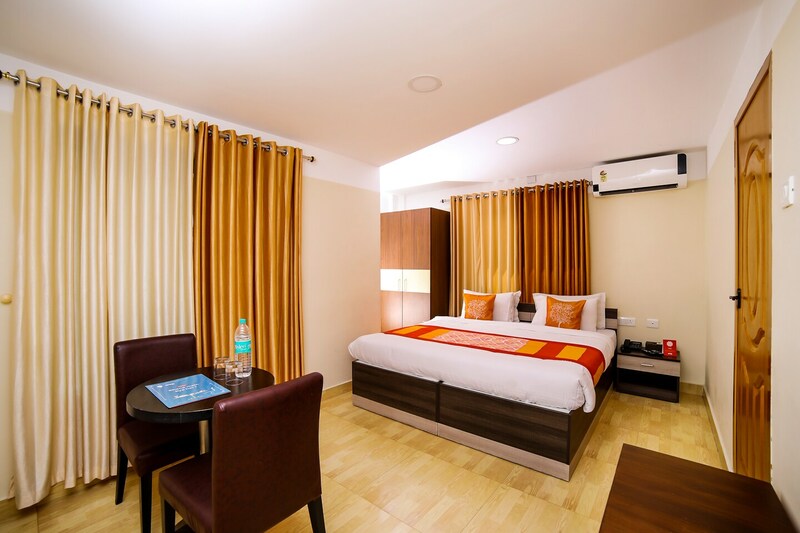 Located in one of the most happening regions of Trivandrum, OYO 2079 is the place where you should stay to make the best of your trip. The property offers the best in service and amenities. This modern, elegant, spacious hotel is very pleasant with bright rooms and warm decor. Each room is well-furnished with wooden decor which gives a warm ambiance to the place. The window in the room opens up to the scenic view of Trivandrum. The hotel also provides various other facilities such as free wifi and parking. When in Trivandrum, do visit the Akkulam Tourist Village or go exploring the city.